Stress can affect both physical and mental health. Though little stress can be good for you, feeling overwhelmed, stress and anxious more frequently, the effects can be really devastating. Stress takes a toll on the brain, causing various psychiatric problems like hypochondria for one. It increases the risk of chronic health problems like arthritis and heart problems. People who are experiencing more stress are at the risk of developing stroke. Hence, it is important to know about the best stress relievers and incorporate them to decrease the negative effects of stress. • Breathing Exercises- Breathing exercises are good stress relievers. Taking deep breathes can help your lungs to get more oxygen. The more the oxygen you get, the more the carbon dioxide is exited by your body. This in turn helps reduce the effects of stress. • Meditation- Meditation is one of the effective types of stress relievers and a good way of a define mood. It requires you to engage in the moment fully and helps you to stop worrying about past and future. • Yoga- Yoga has been practiced in India for more than 5,000 years. It helps to relax body and mind. It involves some postures that allow the energy to flow freely. Yoga helps you combat with stress naturally, whilst increasing your overall mental and physical health. • Diet- Some diets are the most excellent types of stress relievers. Adding fruits like mango, oranges and tomatoes and vegetables like broccoli and spinach can help boost your immune system and reduce the damages caused by free radicals. Dark chocolate is packed with magnesium, which is one of the best stress relievers. Omega 3 fatty acids found in fish like mackerel and tuna help prevent heart diseases caused by stress. • Exercise- Exercise can help increase the level of serotonin and thereby help stabilize your mood. If you want to relieve stress naturally, you need to know some important information about stress relievers. There are many stress relievers, so you need to choose the one that best suits to you. It is always advisable to choose a method that is simple for you. If you want to do exercise to relieve day to day stress, choose something simple like walking or gardening. In addition to the benefits of stress relief, exercise can help improve your physical appearance. You can add yoga to your routine or switch to yoga. Choosing something easier to follow makes you less stressed and prepares you to follow a new healthy lifestyle. Getting enough information about stress relievers can help you in picking the right one. For instance, laughing therapy is a stress reliever. It is the most inexpensive yet best way to relieve stress. It reduces stress hormone levels and boosts the immune system. 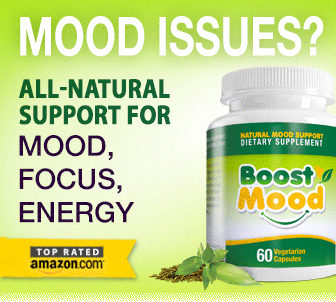 It increases feel good endorphins and creates a soothing effect on your mind. An interesting thing about this stress reliever is even fake laughing can provide you with more benefits. Moreover, you can combine it with any other stress relievers.